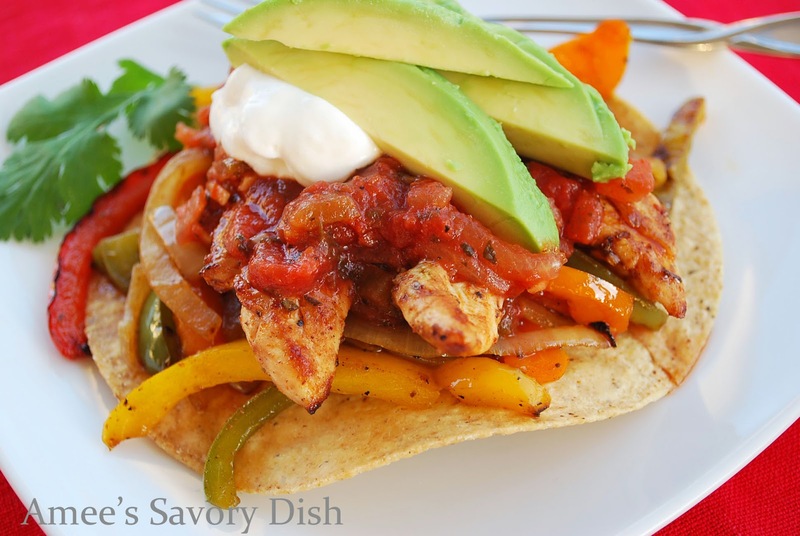 Grilled chicken fajitas tostadas are a simple and healthy Mexican fajitas dinner. These grilled chicken fajitas tostadas are an easy outdoor grilling recipe! Fajitas are so simple to make on the grill (actually my preferred method) and it keeps the kitchen clean, which is a huge bonus! A great side dish to serve with the grilled chicken fajitas tostadas is quinoa with black beans. That recipe comes from Skinny Ms. and it’s SO delicious. 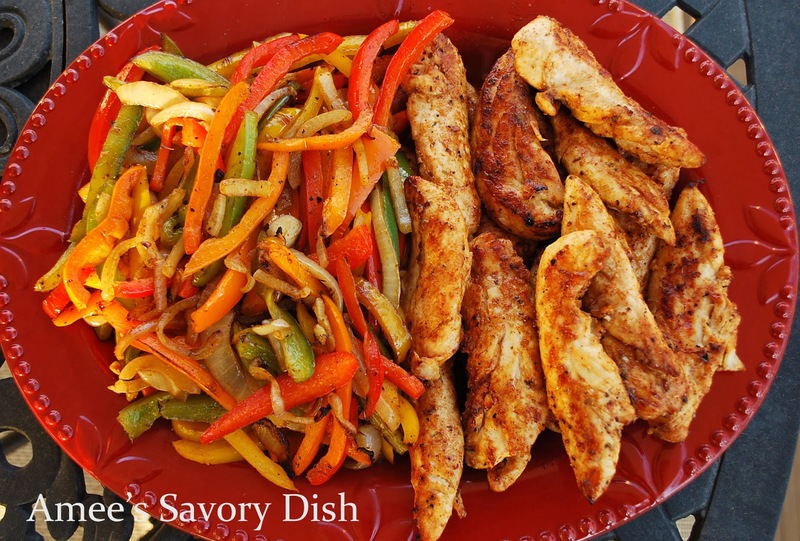 I hope you enjoy the grilled chicken fajitas tostadas recipe! Heat grill and set to medium-high temperature. Chop your peppers and onion and set aside in a bowl. Add 3 tbsp olive oil, 1 tbsp lime juice and half of the fajita seasoning to veggie mixture. In a separate bowl, mix together chicken, 2 tbsp olive oil, 1 tbsp lime juice and remaining fajita seasoning. Toss well to coat. Grill mixture separately in a grill pan. 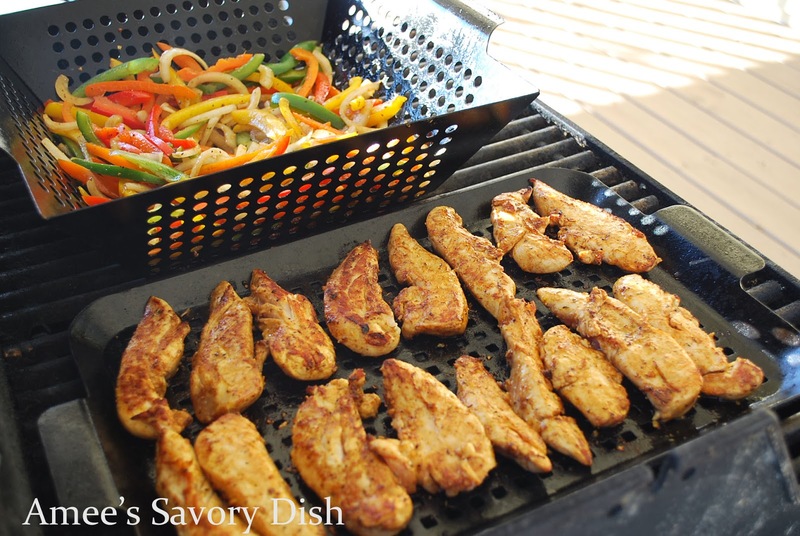 an easy way to prepare delicious fajitas on the grill! Whisk all ingredients together and divide in half for the recipe. Heat grill and set to medium-high temperature. Chop your peppers and onion and set aside in a bowl. Add 3 tbsp olive oil, 1 tbsp lime juice and half of the fajita seasoning to veggie mixture. In a separate bowl, mix together chicken, 2 tbsp olive oil, 1 tbsp lime juice and remaining fajita seasoning. Grill mixture separately in a grill pan. Chicken takes about 4-5 minutes per side and pepper mixture takes a few minutes longer. Grill until peppers and onions are softened, stirring a few times while cooking. To serve, top a corn tostada with peppers and onions, chicken, sour cream, salsa and fresh avocado. So colorful and pretty, I love peppers!